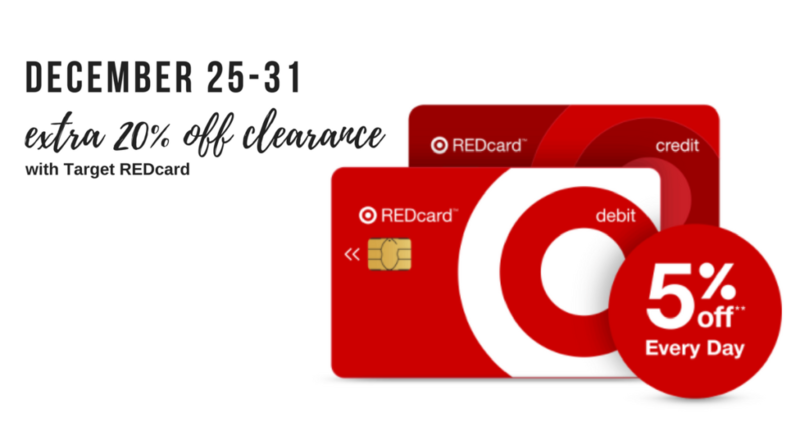 Target REDcard holders – Don’t forget about this deal! Through December 31st, Target REDcard holders get an extra 20% off your online clearance purchase when you use your REDcard to pay at checkout! You will also still receive the standard REDcard 5% off discount and free shipping on every order. It’s free to sign up for a REDcard, so if you haven’t already done so, sign up for a debit or credit card version. You can make multiple purchases using the extra 20% off throughout this offer. Offer valid through 12/31 for Target REDcard holders, for clearance purchase made online only.